We offer the opportunity to visit three wonderfull places. 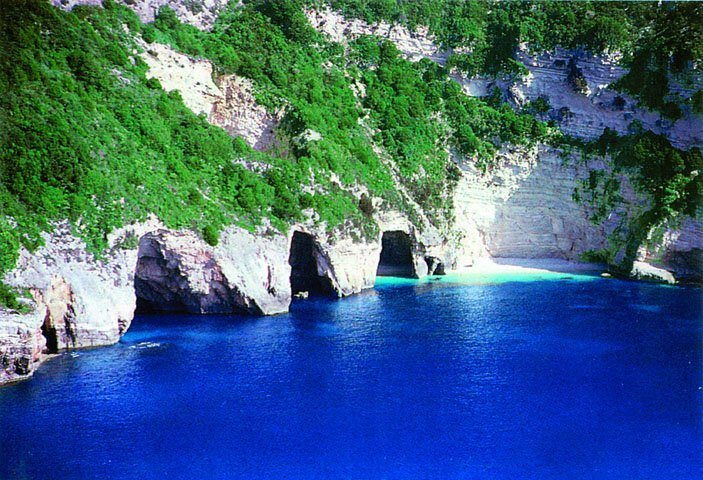 The island of Paxos and Antipaxos, which are situated close to the southern coast of Corfu , and also the famous blue Caves of Paxos. 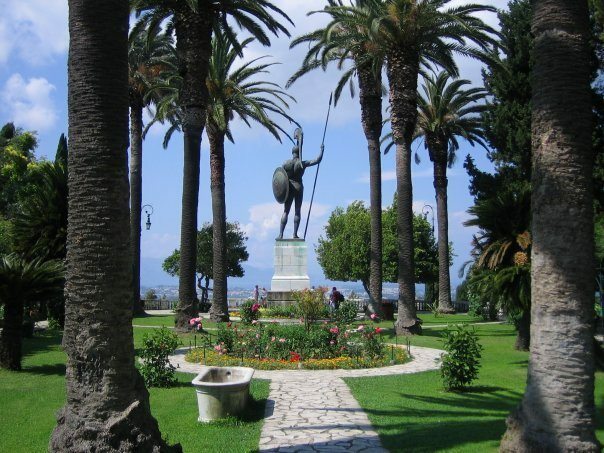 Departing from the harbour of Corfu we see the Kanoni peninsula and the palace of Mon Repos where Prince Phillip was born. Passing the tourist resorts Perama, Benitses, the village of Kavos and the cape of Asprokavos which is the southern point of Corfu island. 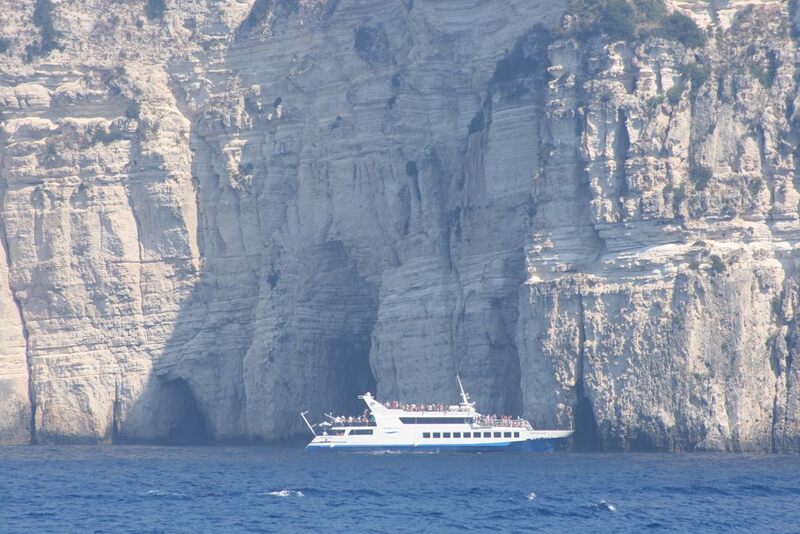 As we approach the channel between Corfu and Paxos we see in front of us the green island of Paxos. 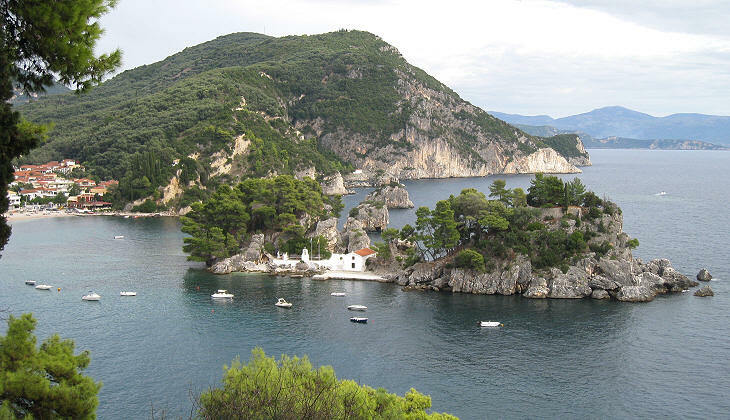 Legend has it that Paxos was formed when Poseidon severed the tip of Corfu with one mighty blow of his trident and dragged it south to create an idyllicretreat for his love, Amphitrite. 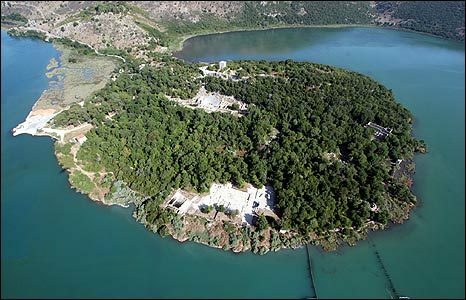 the Legen goes on, with Poseidon's marble Palace which was situated in one of the blue cave of the island named Ipapanti. 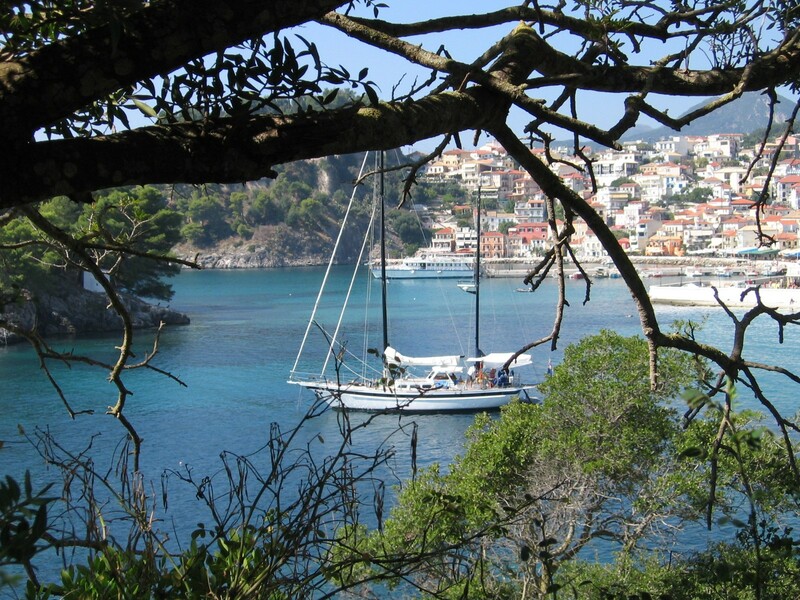 During our passage, on the left hand side, we see the beautiful port of Laka. We continue sailing south along the west coast of Paxos, enjoying the impressive rocky coast line and the unique white sandy beaches. 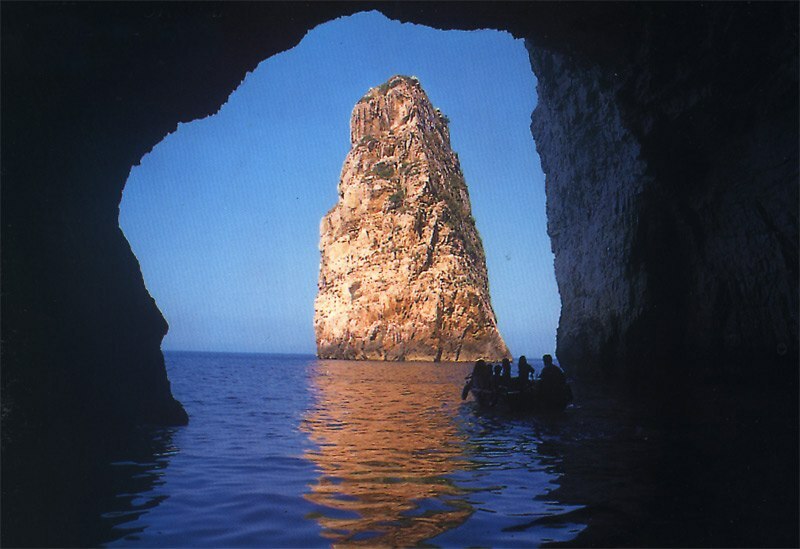 Then the boat enters the breath taking sea caves, the clear blue waters will leave you speechless. 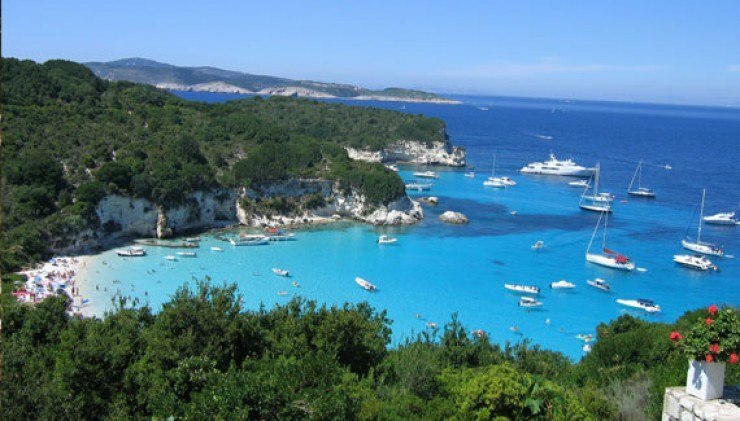 We depart from the caves and soon we arrive at the small but perfectly formed island of Antipaxos , whose sandy blue water coves have been compared to the Caribbean's. Here you will have the opportunity to swim in the crystal waters of the "Paradise beach". 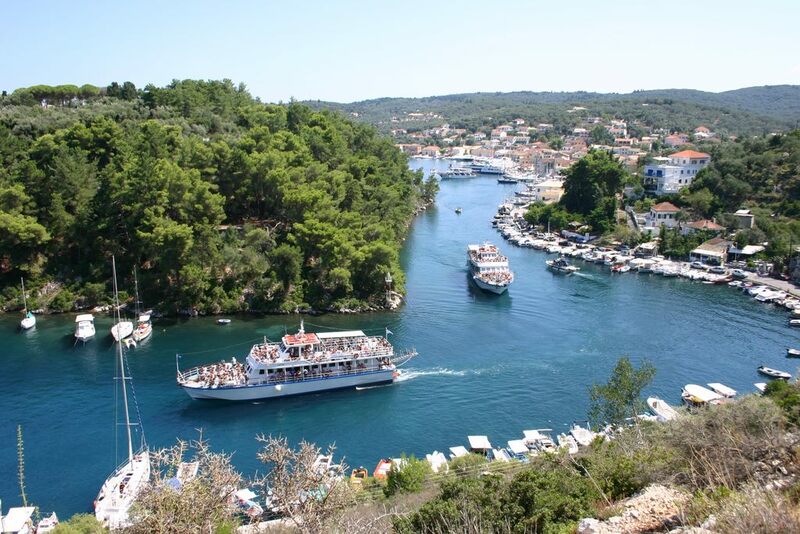 Our excursion returns once again to Paxos. It's up-market reputation continues today as millionaire yachts sit at anchor alongside local fishing boats. After entering the narrow channel which leads us to the picturesque port of Gaios village, we see a breathtaking view of the two islands Panagia & Agios Nikolaos. We moor close to the center of Gaios village where you can easily walk through the wonderful narrow streets and enjoy your lunch at one of the tradional tavernas . During your trip you can enjoy the sun and help yourself to refreshments, which may purchase from the bord bar.